Q&A Dune Ives - executive director at the Lonely Whale Foundation. 8 million tons (!) of plastic ends up in our oceans each year according to World Economic Forum - It's even in the fish we eat! Ditch the single-use plastic straw and save our oceans. Q: Where did you grow up, where did your interest for the environment begin, for ex. was this a subject you talked about around the dinner table at home? "I grew up in a remote part of Fairbanks, Alaska where my mom and I settled after she worked on the construction of the Alyeska pipeline. My younger years were filled with the experience of a pioneering lifestyle: raised by a single mom in the wilds of Alaska in a one bedroom cabin with no running water or electricity (until age 5). We raised vegetables, geese and the occasional turkey. I helped harvest fish from the river, gather firewood in the fall to last all winter long and have really fond memories of homemade Christmas gifts. Life was both simple and difficult at the same time. My early years really shaped my perspective on a healthy environment and the importance of being connected to your surroundings. In a place like Alaska if you aren’t connected to the environment and can read its cues you will have a much more difficult time surviving." Photo: Justin Hofman and Weston Fuller. Q: Have you had a life changing moment, where you just understood exactly what you are meant to do in this life? "I was fortunate to dive off the coast of Belize with my husband while on vacation one year. As we were drift diving looking for smaller rays, a huge spotted eagle ray rose out of the depths of the sea. I can still remember the feeling I had being 40’ underwater watching this majestic creature fly through the water. At the time I was leading Paul Allen’s global environmental philanthropy portfolio and immediately recognized how special and rare that moment was given that rays are being hunted to extinction. During that same trip, my husband and I began the process to adopt our son, Rye, and I became committed 150% to ensuring he was able to have a similar experience in the future." Q: Tell us about your project #StopSucking at Lonely Whale! How did this project start? "Lonely Whale's Strawless Ocean initiative was born out of our co-founder Adrian Grenier's frustration around single-use plastic straws (in fact that was the topic of my first conversation with Adrian! ), which Americans use 500,000,000 of on a daily basis. Asking people to rethink single-use plastic straws is a very simple and easy way to make a difference for our environment. In the spirit of radical collaboration, to date, we have engaged 40+ ocean health NGOs and creative partners to join our collective efforts and stem ocean plastic pollution through the permanent removal of single-use plastic straws." Photo to the right: Justin Hofman. Q: Often when we get information through media that our planet’s resources are drying up due to climate change, the comment section is filled with worried questions about what one can do. What do you think ordinary people can do to save the oceans? "The beauty of Lonely Whale’s Strawless Ocean initiative is that everyone can make an impact through one simple action! Whether they are raising awareness online by challenging their friends and followers to #stopsucking, or helping their favorite watering hole ditch plastic straws, we are activating a global network of ocean advocates through one plastic item that connects us all every day. In a climate where environmental action can seem immensely overwhelming, we are seeking to create a wave of celebration around commitments to ditch the single-use plastic straw from individuals, organizations and governments." Photo: Lonely Whale. Sustainable straws by Aardvarkstraws. Co-founder of Lonely Whale Dune Ives. "Climate change is real, hopefully still reversible and will result in changes to life as we know it. I’ve heard recently that plastic pollution is second in line to climate change as global environmental issues to be addressed immediately. Unlike climate change, plastic pollution is not yet politicized and my hope is that we can prevent it from becoming a partisan issue. A healthy planet impacts all of us and that begins with ensuring we don’t overheat our environment." Q: Are you a vegetarian / vegan? "My husband and I have chosen a primarily vegetarian diet as it is healthier for your body and for the planet. Unfortunately, like many people, I have severe gluten, dairy and egg allergies that can limit what I can eat. My diet used to include fish, but with the lack of availability of sustainable seafood and now the presence of plastic fibers in fish flesh, our options are becoming much more limited." 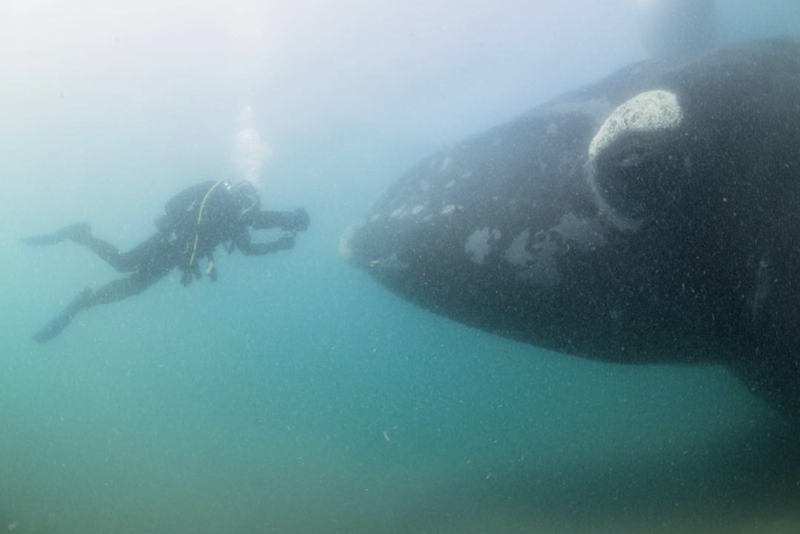 Photo: Justin Hofman and Donal James Boyd. "I am most happy when I hear the sing m-song voice of my three year old saying, "Mommy, wake up! You don’t want to miss the day." Or perhaps it’s when we have random family dance breaks in the kitchen! Our son reminds me of the beauty and magic of our existence everyday, which I am eternally grateful for, especially given the sometimes devastating issues we tackle at the Foundation."